The District is filled with plenty of outdoor adventures that won’t cost you a cent. 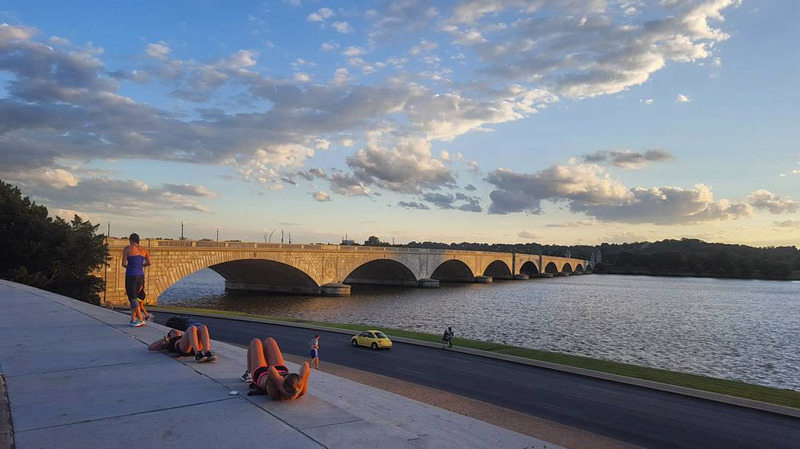 Explore the best free outdoor activities, from national parks in and around the city to modern art on the National Mall. You will have no issue finding free outdoor activities in DC. 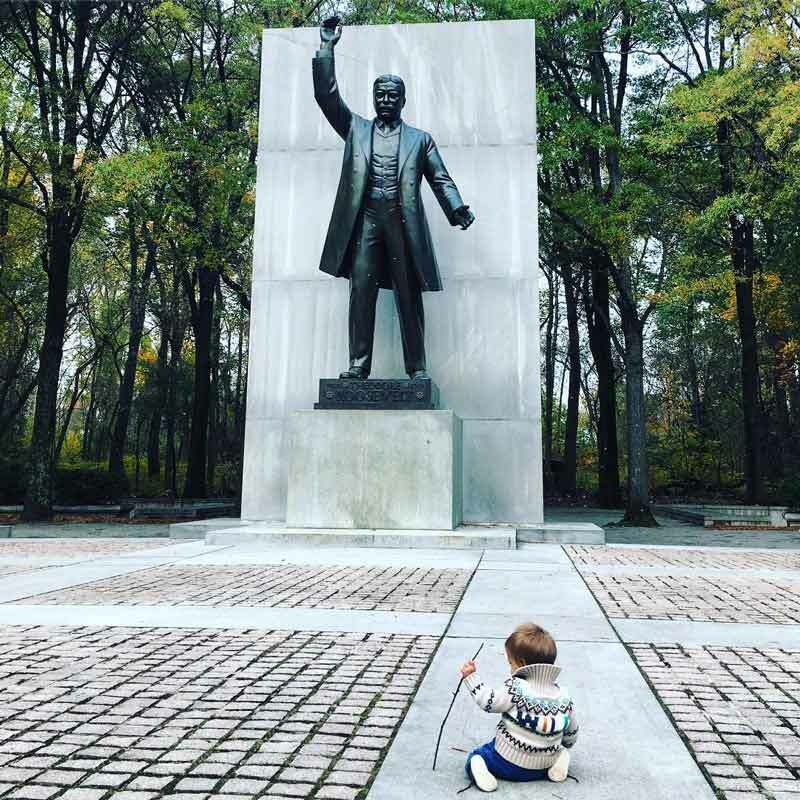 From hiking and running trails such as the Billy Goat Trail in Great Falls Park to awesome places like Rock Creek Park, there are so many things to do outdoors in the nation’s capital, including activities just for kids. Check out some of the city’s best free outdoor activities below and start planning your trip today. DC’s ultimate outdoor mecca is Rock Creek Park, a 4.4-square-mile expanse that includes numerous trails for hiking, biking and exploring. 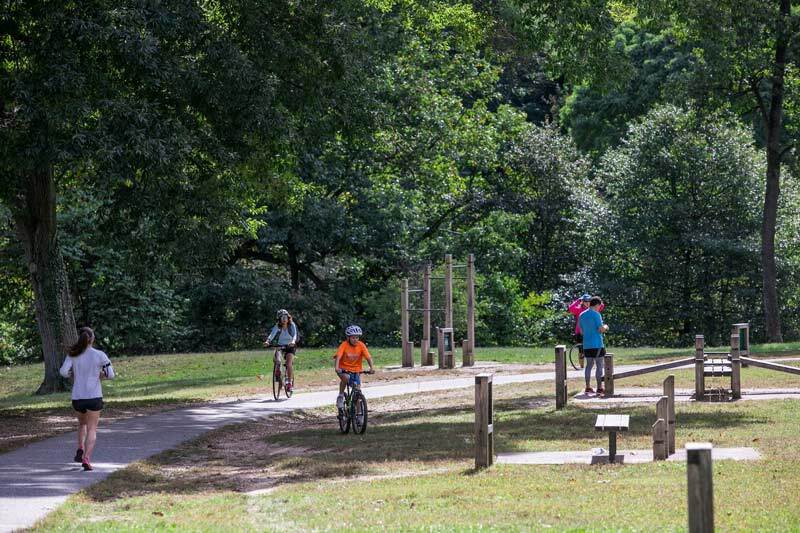 There’s more to like about the park, too, like a nature center, picnic areas, riding stables, tennis courts and Peirce Mill, an historical site. Grab your hiking boots and join the bikers trekking their way down the C&O Canal Towpath, which traces the Potomac River from Georgetown 184.5 miles north to Cumberland, Md. Expect awesome visuals along the way. Please note that parts ot the C&O Canal Towpath in Georgetown are currently under construction. For more information and updates, visit the National Park Service website. 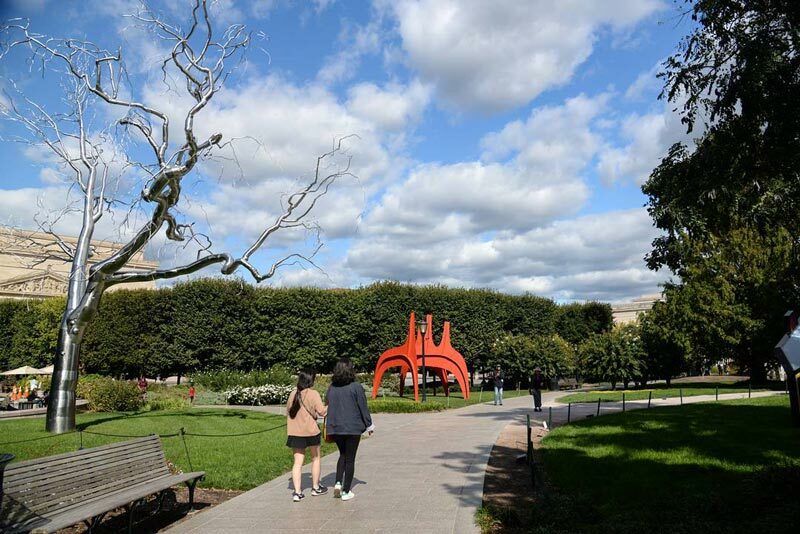 Stroll through the National Gallery of Art's Sculpture Garden and admire works from artists like Roy Lichtenstein, Alexander Calder and Robert Indiana. The garden features seating for visitors and a fountain that turns into an ice rink in the winter. The park also hosts Jazz in the Garden on Friday evenings in summertime. #JustShowUp: That’s the motto of November Project, which gathers numerous locals and turns DC’s urban landscape into their personal gym. 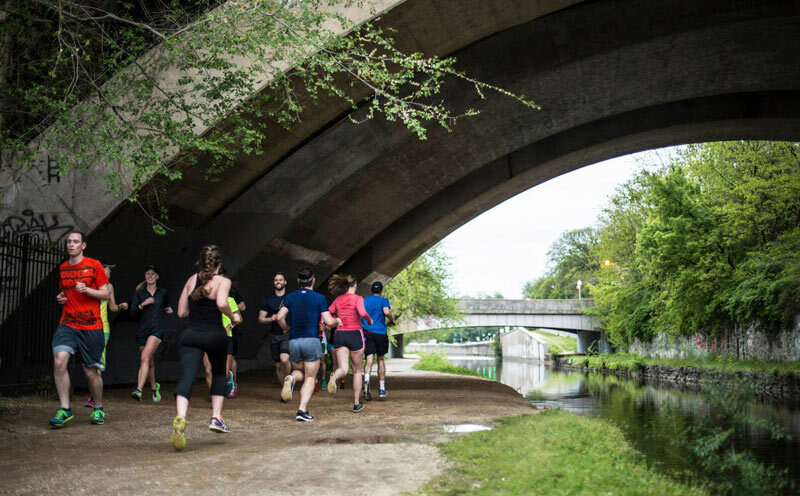 Depending on the day, you could find yourself running the steps of the Lincoln Memorial, doing push ups in front of the U.S. Capitol, or sprinting across Meridian Hill Park, all free of charge. Reachable by footbridge off the George Washington Memorial Parkway, Theodore Roosevelt Island pays homage to the great conservationist. You will find nearly two miles of trails that traverse through forest and wetland, as well as a 17-foot statue dedicated to the historic figure. Via the trails, you can encounter beautiful views of the Potomac River. 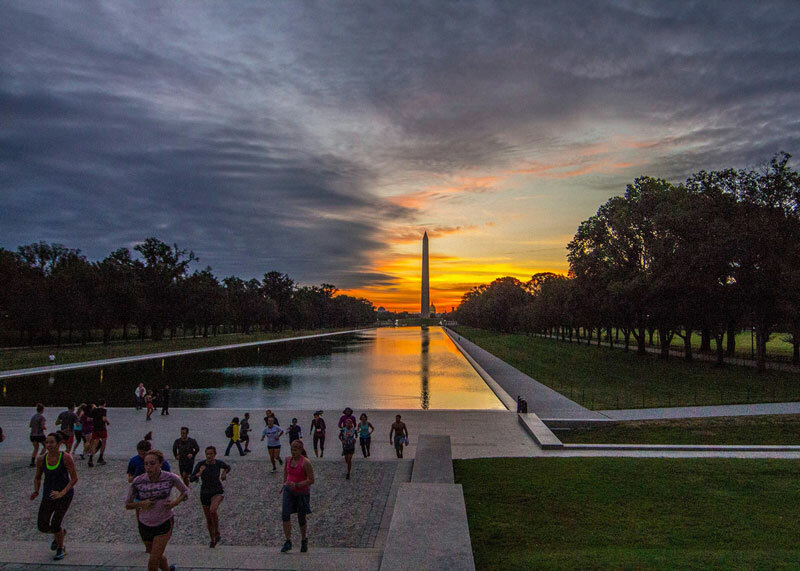 Head to the Watergate Steps, near the Arlington Memorial Bridge and close to the National Mall and Foggy Bottom, and join the fellow trainers running up and down the stairs. You can also find a pickup game of volleyball at one of the pits at nearby Potomac Park. Good karma abounds in DC. Unleash your inner yogi with plenty of opportunities to perform the downward dog and bask in the sunshine without paying a cent. 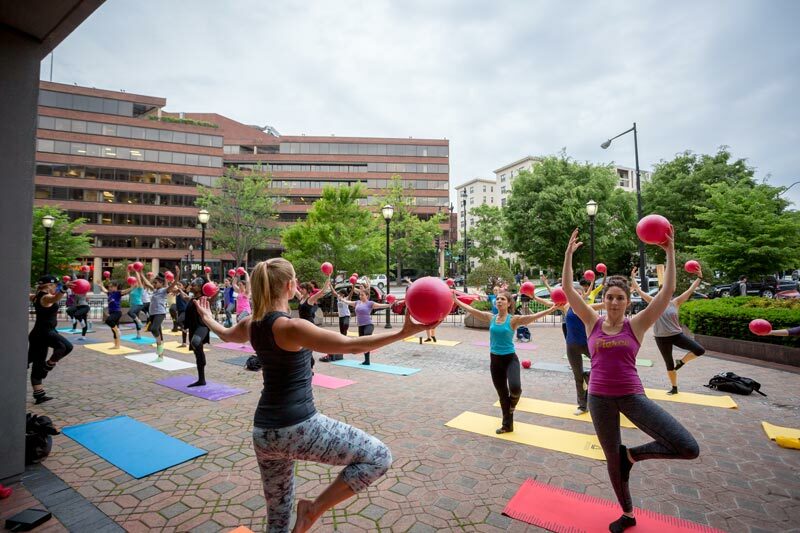 During the warm weather months, options can include Golden Triangle’s TriFit in Farragut Square, Community Yoga at the Kennedy Center, morning yoga at The Yards Park and outdoor yoga classes at The Wharf’s Recreation Pier. Home to the always-popular Billy Goat Trail, Great Falls Park is the perfect place to explore nature and is only a 30-minute drive from DC. The 800 acres of scenic parkland consists of hiking trails, cascading rapids and spectacular waterfalls. While regular admission to Great Falls Park is typically $10 per vehicle, the park is free-to-enter on Martin Luther King, Jr. Day, the first day of National Park Week, National Public Lands Day and Veterans Day (check the Great Falls website for more information). Cultural Tourism DC showcases the incredible walkability of the nation’s capital during this week-long public tour program that is annually held in September. Walkingtown DC includes more than 50 guided walking tours throughout the District, introducing attendees to the art, culture and history of the city. Tours come in many variations, from after-work “happy hour” soirees to long weekend tours. Historians, licensed tour guides, community leaders and business owners, among others, host these excursions that will take you to both well-known and hidden gems across DC. Check back at this page for details and schedules.